eRead Illinois Also Has Audiobooks!!! 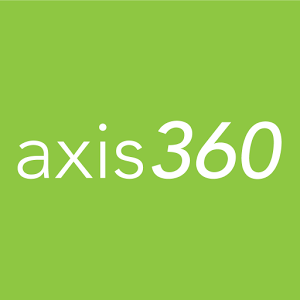 Use Axis 360 to access eRead Illinois eBooks on Android, iOS, or Kindle Fire devices (learn more about setting up the app and checking out eBooks). Note: If you are using a Kobo Reader, Nook GlowLight, Mac desktop, or PC desktop device, you will instead use Adobe Digital Editions (more info). A stunning performance of Shakespeare's timeless tragedy of young love. An allegorical novella about the Russian Revolution and its decent into Stalinism using farm animals. The geisha world is seen through the life of one woman who serves as a window to a little known world of incredible beauty and cruelty. A collection of fables by Aesop, a storyteller who used cunning foxes, surly dogs, clever mice, and foolish humans to describe the reality of a harsh world. The writing of both Freud a devout atheist and Lewis an atheist turned believer are placed side by side by Dr. Nicholi who leave it up to the reader to decide what is truth. Digitally re-mastered from the original 1979 recording. A dramatization of the fantasy trilogy. This hilarious book has been adapted especially for the audiobook edition so listeners hear all of the same fun and humor from the printed version and don't have to make any decisions or jump around, just kick back, relax and listen. Plus, it features exclusive bonus audio of young Neil delivering an adorable speech. The adventures of some English children as they journey to the land of Narnia with fantastic creatures and epic battles between good and evil. Booklist Editors’ Choice: Audio for Adults, 2017.